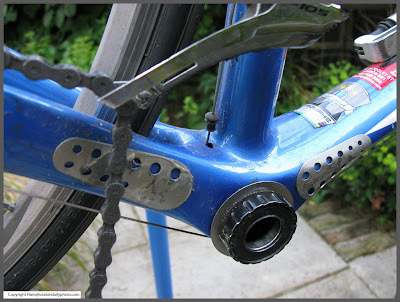 It turns out that the BB bearing and crankset on both my Marin Point Reyes commuter and the LeMond (=Trek) road bike are both Truvativ GXP, which I'm sure means they were having a laugh as they designed it. Looking around the Internet, I'm not the only one to feel they leave something to be desired in the durability stakes. Plus, becasue one side bearing is smaller than the other, you can't easily swap them out for something else. The Marin bearings were shot through wear, only about 8,000 miles. My LBS comment was "that's good" - I don't think so, not for a maintained bike. The LeMond (probably only 2,000 miles) are clicking and have been for the last 300 miles, an early symptom of failure IMO. The only bright spot is that in taking the crank off I noticed the bung protecting the frame had risen out, so was able to correct it.